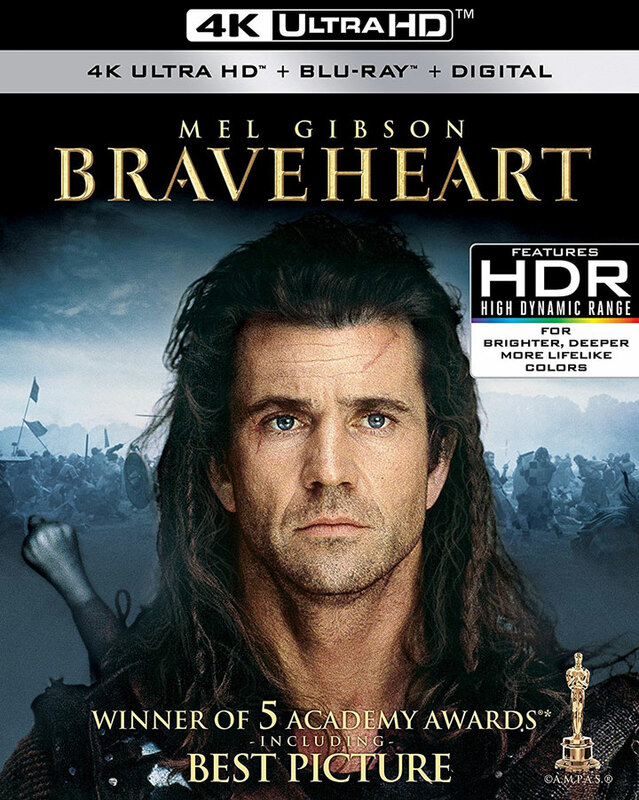 Paramount Home Media will release Mel Gibson’s 5-time Oscar-winner Braveheart on 4k Blu-ray. The film will join other Oscar-winning and nominated films that have been recently announced for UHD BD including Saving Private Ryan, Gladiator, and The Matrix. In the heartfelt but gruesome tale of Scottland’s quest for freedom, Sir William Wallace leads a rebellion against King Edward I of England. Braveheart stars and was directed by Gibson, along with Sophie Marceau, Patrick McGoohan and Sean Lawlor. On Ultra HD Blu-ray Braveheart is presented in 2160p resolution with additional color enhancements on HDR TVs. The soundtrack is offered in English Dolby Atmos backed by Dolby TrueHD 7.1. with French and Spanish audio provided in Dolby Digital 5.1. For special features the 4k Blu-ray includes audio commentary from Mel Gibson, while the Blu-ray Disc includes half a dozen featurrettes such as Braveheart Timelines, A Look Back, and Tales of William Wallace. Braveheart has a list price of $31.99 and is currently available to pre-order for $26.62 (see below for most updated pricing). Next Next post: Will Sea of Thieves be the new No Man’s Sky?